A distinctly different look. 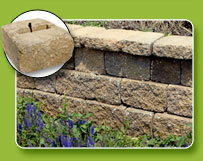 This retaining wall system provides natural real rock beauty for walls up to 40 ft high. It’s perfect proportions is the perfect fit for projects large or small. 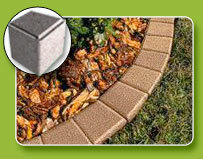 These maintenance free landscape border stones provide a great way to finish off any planting bed, tree ring or walkway. A retaining wall system that looks like hard quarried stones. 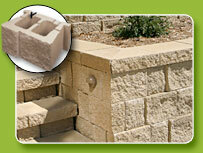 Yet is easy to install like any modular retaining wall system.